My Feminine Spirituality is Practical. Grounded. Embodied. Dynamic. Unique. Soft and Fierce. 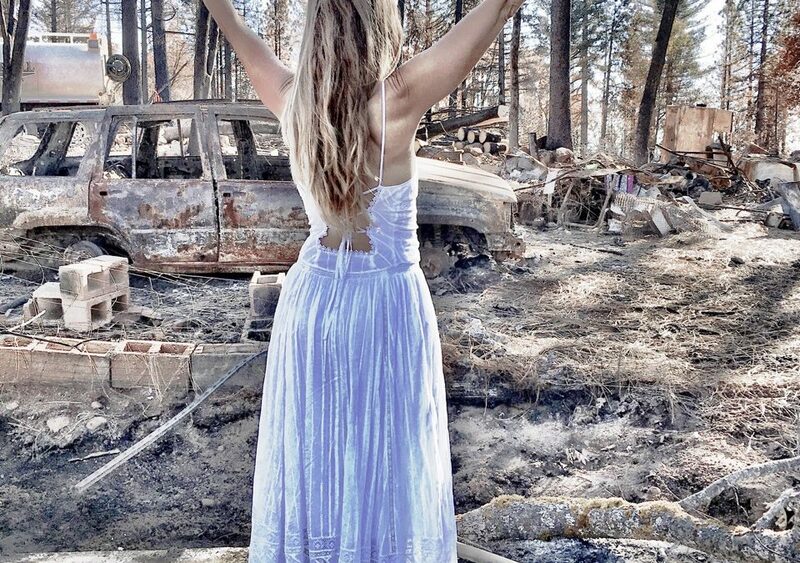 When my home, workshop space and office burned in a recent wildfire I received a beautiful 1-1 Deepening in Feminine Spirituality. It was not about stillness, solitude and peacefulness necessarily. It was more like rolling up my sleeves, facing what is and embracing life from the vantage point of fire destruction. ‘She – Feminine Spirituality’ became my teacher, guide, coach and trainer. My Feminine Spirituality is PRACTICAL. After the fire ‘she’ became a practice that helped me to say ‘yes’ to all that had just happened. The practice connected me to my breath. One breath in, one breath out. Witnessing the sound of air moving into my mouth, and the song of exhale leaving my body. The practice helped me to remember to take one step at a time. Be present. Now. Breath. Yes. Celebrating I am still alive in physical form. ‘She’ invites me to GROUND. My Feminine Spirituality supports me to EMBODY, BE IN MY BODY. PTSD (post-traumatic stress disorder) can be overwhelming. It has many effects from depression, numbness, powerlessness, unbearable grief, loss of clarity, and/or hopelessness. I basically wanted to leave my body all the time. When the going got too tough, I checked out. Until my heart called me on it and guided me back into my beautiful body. And right there my connection to my soul deepened who informed me that she can only express herself through this amazing, awesome, magical body temple. It’s needed. When I forgot the meaning and preciousness of life, my feminine spirituality send me on the dance floor for a dancing meditation. Or ‘she’ instructed me to do different forms of breath work. Or Chakra Breathing. Or go on a walk. A swim. A bike-ride. All of these dynamic forms allowed me to FEEL. I stopped to analyse or wanting to understand. An emotion would surface and I could release. It. The Trauma. The Sadness. – and then continue dancing, breathing, walking. My Feminine Spirituality is UNIQUE. 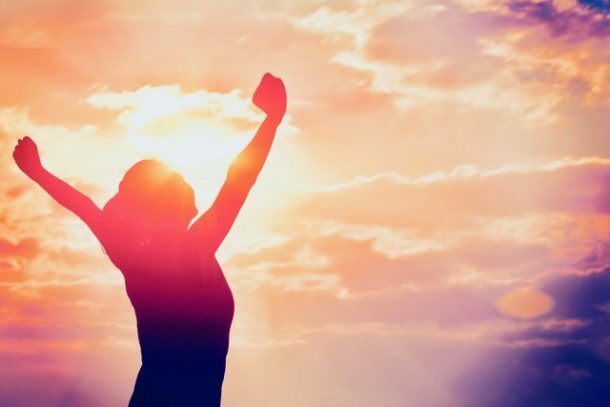 As I looked around and noticed how other people handled the Letting Go experience, I saw so many ‘spiritual beings’ expressing their human experience quite differently. ‘She’ invited me to find my very own, unique connection to spirit, source, god, goddess. To be and show up with all my uniqueness, no separation whatsoever between what we call ego, mind, intellect, body and soul. All there was, in that moment, is called I AM. ‘She’ is SOFT and FIERCE. ‘She’ took me by the hand. My Feminine Spirituality knew how much I love magic and wonder. So one moment she became Divine Cosmic Mother and held me in love and softness. The next moment she was Kali, fierce and determined. Then Durga riding the tiger, no compromises anymore! Other days ‘she’ delivered all the many forms of Tara, – her wisdom, her fearlessness, her trust. Some evenings called for Kuan Yin, the mother of compassion. There was no end to imagination and magic and it reminded me over and over who I truly am. I bow to you, Feminine Spirituality. I bow to myself for continuously opening my heart and trusting the journey. I bow to each and every one that has offered support and help. I bow to each and every being for your infinite courage to BE a divine spark in physical form. The Fire became my PhD training to live, breathe, walk, talk and celebrate my female in/spired spirit – in duality. Deepest Gratitude for that! Joya P. Gallasch is an internationally known coach, mentor, author, and visionnaire; she has worked as a Teacher of Transformation & Empowerment for more than 25 years and has led workshops and retreats in the US and Europe. She is dedicated to empower her clients to free their voice and true power by expressing their unique gifts. She was born and raised in Germany. After studies in Washington D.C. and New York, she made California her home.